Soldiers are shocked that the Defense Ministry would compromise the training of soldiers - and that they would tell the world about it. IDF reserve soldiers on Thursday launched a campaign on Facebook criticizing the Defense Ministry, which announced that it would begin cutting training sessions and activities if the Finance Ministry did not fork over more money. The soldiers accused the Ministry of dumping the money problem in their laps, since they are the ones who will be required to enter potentially dangerous situations without optimal training. One of the protesting soldiers wrote on his Facebook page that “the Ministry's propagandists were cynically using the practice and training soldiers need in order to improve their negotiating position versus the Treasury. It does not make sense to me." According to the IDF, it doesn't have enough money to continue operating at maximum capacity – and it has decided to cut training programs, starting with the Israel Air Force. IAF fighter jet commanders were informed on Tuesday evening that due to IDF budget cuts it was decided that starting next Sunday, no more training flights will be conducted. According to the decision, flights would only be carried out as part of actual operations, in instances requiring on-call alertness and at flight school. All training would be halted. The decision was made with the support of Defense Minister Moshe Yaalon and IDF Chief of Staff Benny Gantz. 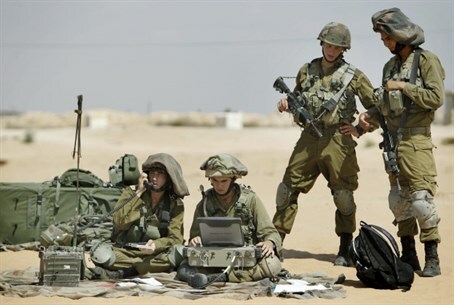 A senior security official said last week the Defense Ministry tried to convince the Finance Ministry to send an immediate 750 million shekels ($215 million) to fund joint expenses for minimal maintenance, training and drills. The protests were occurring at all levels of the army, according to the soldier on Facebook, with dozens of friends and others commenting and supporting the post and linking back to protests on their own Facebook pages. Speaking earlier to Arutz Sheva, Ran Packer, a reserve duty Israel Air Force pilot and formerly deputy director of the Tel Nof Air Force Base, said that the state would regret allowing these training cuts to take place.